Last Sunday 28 October Jair Bolsonaro, a far-right and openly antidemocratic former congressman, was elected the next president of Brazil. He got 55,1% of the votes in the second round of elections, defeating Fernando Haddad, the candidate of the Wokers Party (PT), chosen to continue Lula’s legacy who, being in jail, was forbidden to run. Bolsonaro’s campaign was heavily built on hate speech against indigenous population, black people, LGBTQ, social movements, and all opposition in general. He has openly defended torture as a practice, praised the military dictatorship, and, in previous years, he also called for a plan of cleansing of “about 30,000” opponents. The campaign was based on social media and on the wide dissemination of fake news, critising his biggest opponent mostly on moral grounds. In one of his closing speeches, projected on a big screen in Avenida Paulista, he literally said that if the opposition “wants to remain in Brazil, they will have to submit to our laws. Either they migrate, or they go to jail. This red scum will be banished from our country”. In recent months, violence has exploded all over the country. This culminated, during the campaign, in serious threats and attacks by Bolsonaro’s supporters to minority groups and at least two people were killed for the sole reason of supporting his opponent. This has happened in a context in which violence systematicaly emerges from the State as well. As it is usually the case in Brazil, this violence is mostly directed towards the most vulneral people: black poor people living in the favelas. The city of Rio de Janeiro had been under military intervention since January 2018, and those who have been trying to oppose it have suffered severe retaliation: it seems to be the case in the still unsolved execution of the city’s councillor and activist Marielle Franco. Just before the second round, it also occurred that universities were entered by the police only because of having antifascist posters. ‘What could happen if he wins?’ I had asked – on Septermber 25th – Laura Carvalho, an economics professor at the University of São Paulo (who collaborated in the formulation of the economic programme of PSOL’s candidate, a leftist alternative to PT, although not being herself a member of the party). “It is very worrying that we are speaking about the possibility of military taking power – she said; also because the PT is well-organised and rooted enough in the national territory as to compel any military regime to mount a long and deep wave of repression. Under the military regime established in 1964 the repression instead began much later, for there were no political forces that had a widespread and organised layer of activists”. How did we get here, to the point of considering now a military regime as the most likely outcome? The past years have seen Brazil sink into deepening economic and institutional crisis. This started even before the institutional coup that took place in 2016 against PT’s elected president Dilma Rousseff and led to the establishment of a new government under conservative lawyer Michel Temer, her own former vice-president. Before the election, on September 27th, I had an interview with Marcio Pochmann, parliamentary candidate for the PT and one of the three coordinators of its presidential candidate Haddad’s programme. He argued that the economic crisis is the fruit of a political crisis, a problem left unresolved since 2014: that year, some forces did not accept Dilma’s electoral victory, and the democratic outcome thus went unrecognised. The president was weak and blackmailable, as she relied on some 22 parties’ parliamentary support in order to be able to govern. It was, after all, her own vice president Temer who promoted the coup and then took her place as president. “In this we see the clearly political nature of the crisis – he said to me, even if the media insist on the fable of the budgetary crisis: the economic agenda they promote thus appears for what it really is, i.e. the same agenda that was defeated in the previous four electoral contexts”. Indeed, according to Laura Carvalho, the economic crisis has also its own roots: it was partly due to structural-economic reasons. She points out that econometric studies confirm the perception that the crisis half owes to external factors (particularly the fall in the price of raw materials) and half to government choices. Fundamentally there are two interpretations of the domestic component of this malaise. For orthodox economists, the cause is an excess of public spending and state intervention in the economy. Laura herself argues instead that the problem should be identified in the basic agenda of the recent PT governments’ economic policies: investments have wholly bet on a revival in manufacturing, and the management of this revival has been entirely delegated to the private groups that continue to be active in the sector. These latter have called on the government to reduce the costs of production, which it has done in particular by way of tax breaks: but naturally, this has not been of any use when aggregate demand has fallen. Moreover, these tax exemptions and the resulting lower revenues coming into state coffers have been grist to the mill of the supporters of austerity policies. Hence the ground was prepared for Bolsonaro’s campaign, which drew heavily on the idea of the fight against corruption and against government spending. In many cases, ‘anti-corruption’ is the flipside of austerity ideology: austerity in Brazil, in the last two years, has been harsh, and no different from the one experienced in Europe. According to Laura, this is due to globalization having reduced all governments’ margin of autonomy, thus the debate on cutting labour costs is the same the world over. Looking at Latin America, the tools used in the 1970s and 1980s, which sought to reduce imports in order to aid industrialisation, are no longer available. The tools that do remain are the devaluation of the currency and the reduction of labour costs: and while the former may seem to be a progressive policy, in reality they are two sides of the same coin, and the elites mounted the coup against Dilma in 2016 only to oscillate between both policies. One could argue that the election of Bolsonaro is also clearly functional in preventing what could have happened under a PT government: in the context of the trade war that is taking shape there would be space for greater coordination among the countries of the global South. The current crisis of globalization should force these countries to react against the structure of the global economic order and stop accepting its current conditions as a given. They need to coordinate to take back control of some of the tools of economic policy. We asked Laura if there are the bases there, for an operation of this type: “Probably not, but a progressive government in Brazil could have changed things: Mexico has elected a socialist president, and it would have been the first time in history that the two regional giants both had left-wing governments at once”. The crisis has also heavily affected a social dynamic which has contributed to shape the Brazilian vote, and which can be summarized as follows: the Brazilian middle class – to many extents a “creation” of the PT – due to Lula’s policies has gained access to goods and seen its opportunities greatly increase. They can now travel abroad, their children go to universities, but now they feel they are between two fires: standing above them, the elites, jealous of their own privileges, are ready to push the country towards a military regime if this can stop the surge of the middle class. At the same time, due to the economic crisis, the middle class feels that going back into poverty is now a concrete possibility, and they think the way to avoid it is preventing the lower classes to reach the same living standard that they have. 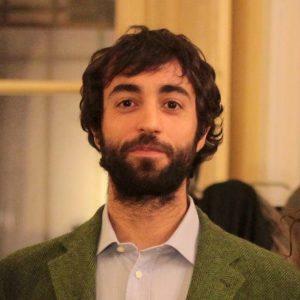 Andrea Califano is an Economics PhD student at the IUSS Pavia and Scuola Superiore Sant’Anna and a researcher at the Fondazione Giangiacomo Feltrinelli. He is interested in macroeconomics and political economy (he is the author, together with Emiliano Brancaccio, of Anti-Blanchard Macroeconomics, just published by Edgar). His main research topics are the European Union and Latin America - where he spent part of his studies, being concerned with development, social justice, substantive democracy.